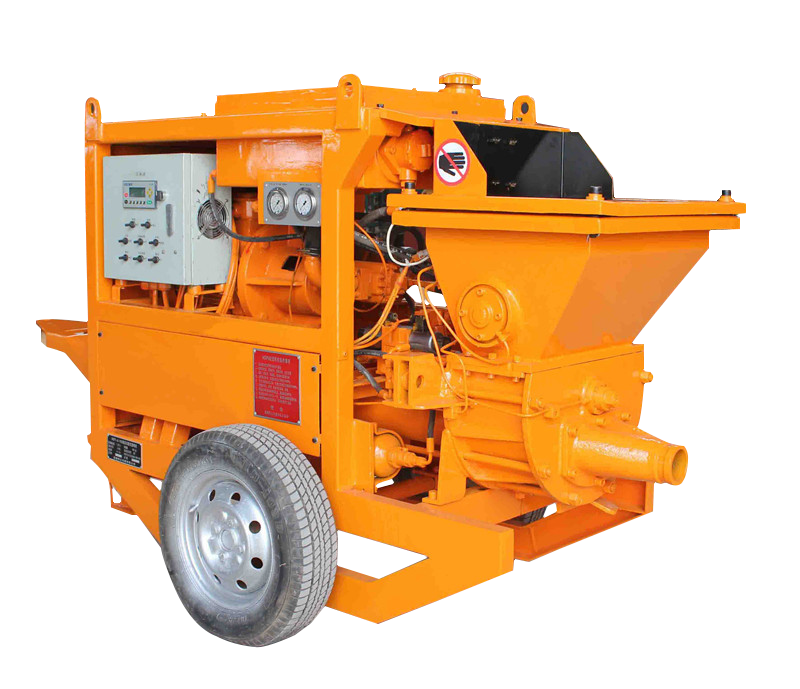 GPS-7A wet shotcrete machine use hydraulic pumping S valve structure, two oil cylinders Reciprocating motion alternately to pump concrete from conveying pipe to nozzle, Add compress air to wet shotcrete machine outlet and add A percentage of the accelerator at nozzle, concrete slurry be sprayed to surface directly. 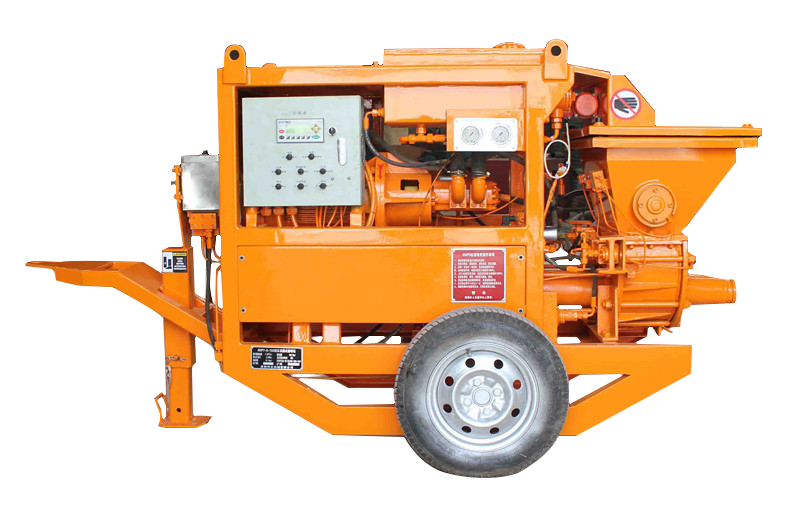 GPS-7A output could be adjusted continuously: main oil pump is variable displacement plunger pump, spraying volume could be adjusted freely. Accelerating adding quantity could be adjusted continuously: according to concrete spraying volume adjust step-less. 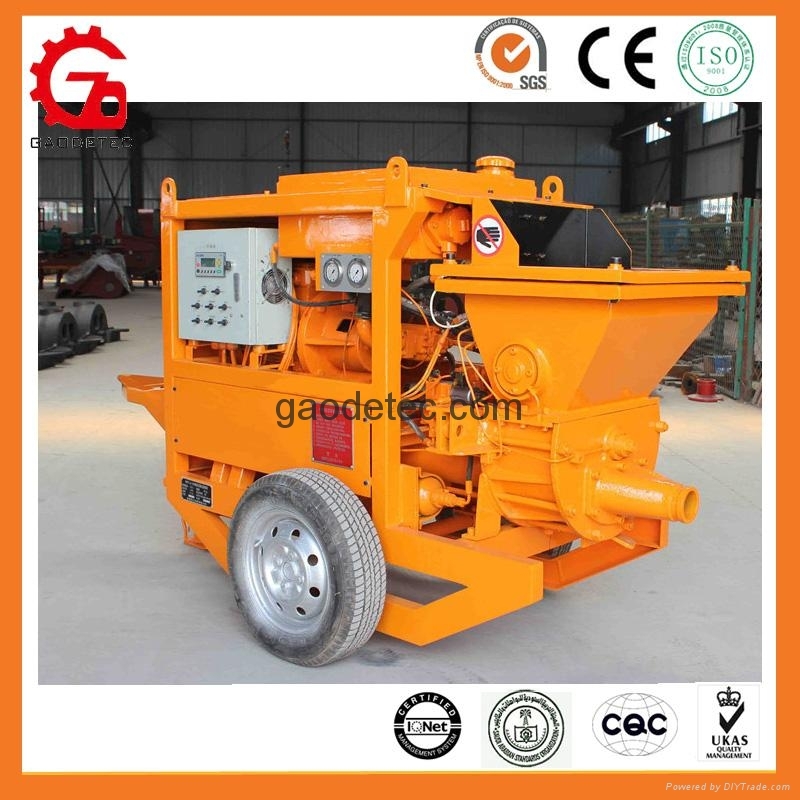 Gaodetec equipped self-lubrication system for the wet shotcrete machine to automatic lubrication for main sealing parts, thus could lengthen wearing parts working life greatly. Main oil pump is variable displacement plunger pump, spraying volume could be adjusted freely. Accelerating adding quantity could be adjusted continuously.